One last car without a fixed roof. 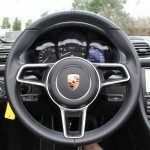 Moving ahead 50 years from the 356C Cabriolet I featured over the weekend we come to possibly the best of Porsche’s open-top machines. 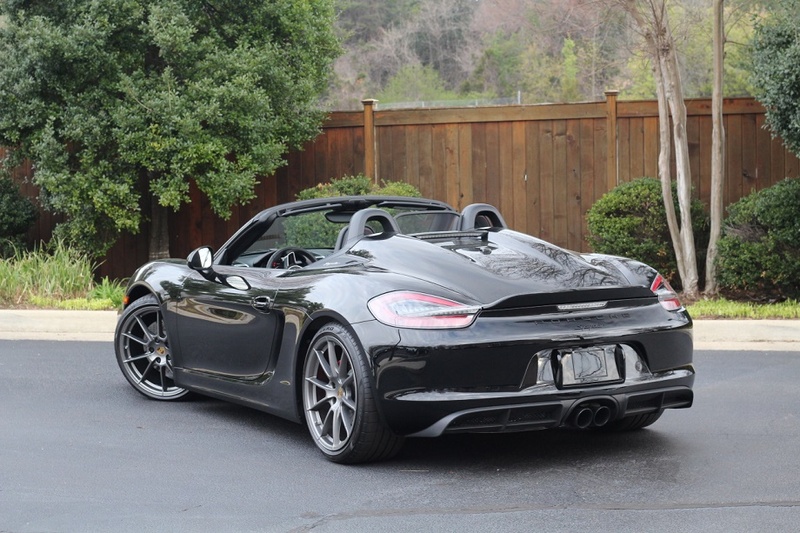 From my first glimpse I immediately loved the new design of the 981 Boxster and Cayman when each debuted. 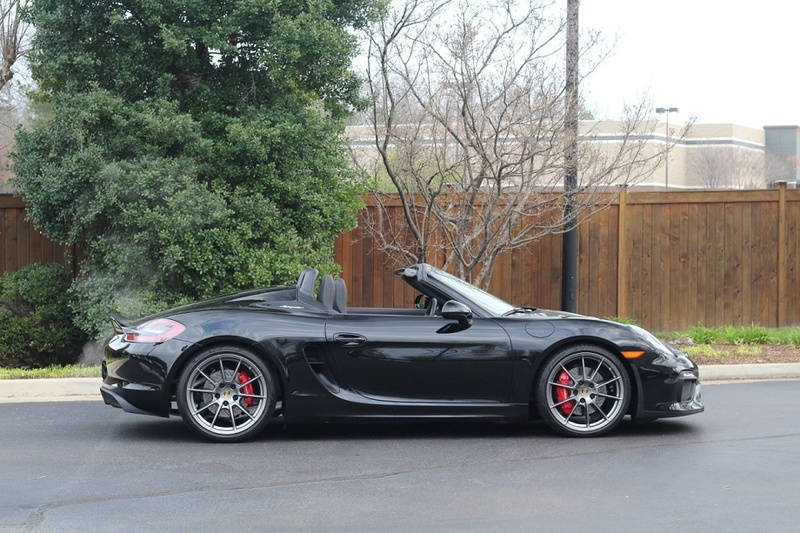 While I’d generally liked the Cayman from its inception I cannot say the same of the Boxster. I was fine with it, but I can’t say it ever really wowed me. That feeling remained fairly constant throughout its first 15 years of production until the 981. Porsche finally seemed to have gotten things right. This new design struck the right balance between aggressive styling and elegant looks. It’s a modern Porsche so it shouldn’t be too shouty, but it also should make clear its sporting aspirations. 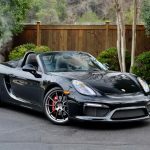 Like with the Cayman GT4, Porsche also allowed the Boxster to borrow a 3.8 liter flat-six engine from the 911 for the Boxster Spyder. 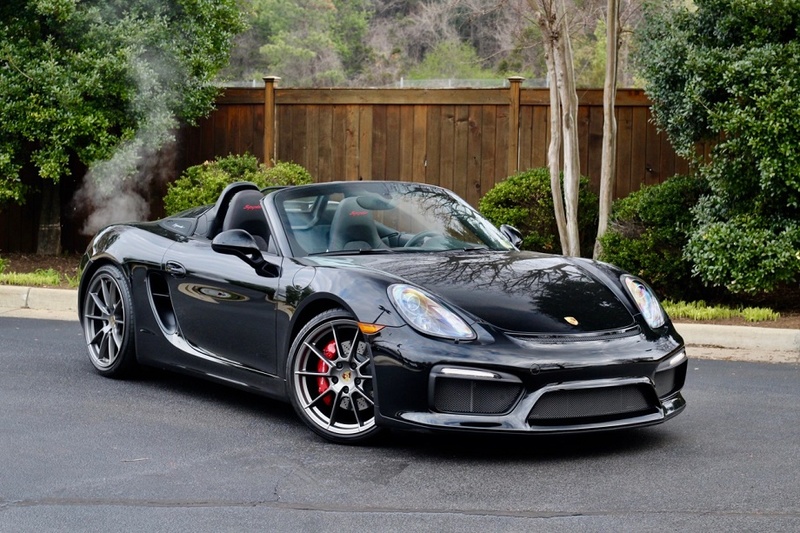 Gone are much of the Boxster’s criticisms about a general lack of performance. 375 horsepower tends to help with that. So does a well-balanced mid-engine chassis with the power directed to the rear. 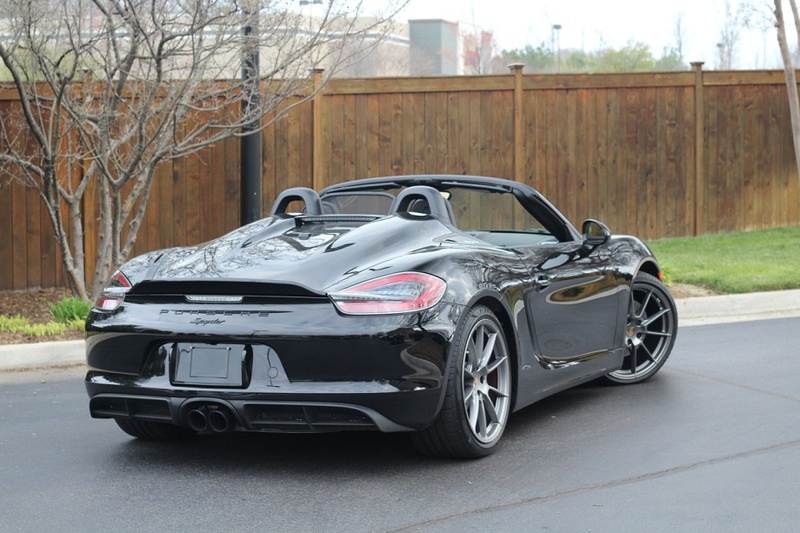 The Boxster always has had a pretty good chassis. Now it had a complementary engine. 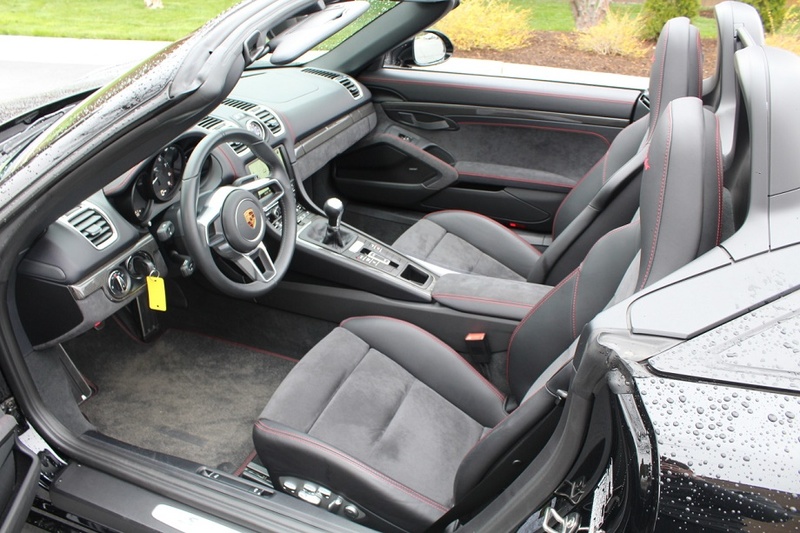 2016 Porsche Boxster Spyder in Black with an Extended Range Fuel Tank, 16.91 Gal, 20″ Boxster Spyder Design Wheels, Wheel Center Caps With Colored Porsche Crest, Manual Transmission, Wind Deflector, 2-zone Automatic Climate Control, Bluetooth Mobile Phone Preparation, Porsche Dynamic Light System (PDLS), Light Design Package, Leather Interior In Black With Alcantara, Stitching In Red, Deviated Stitching, Reversing Camera, Steering Wheel Rim And Gear Lever In Leather, Deviated Floor Mats With Leather Edging, Carbon Fiber Interior Package (with Leather Interior), Adaptive Sport Seats Plus (18-way), Automatically Dimming Mirrors With Integrated Rain Sensor, Infotainment Package With BOSE Surround Sound System, Wheels Painted In Platinum Satin, Center Console Trim In Carbon Fiber, Sport Seats Plus Backrest Shells In Leather, Tinted Taillights With Clear Center Element, and Ornamental Porsche Crest. 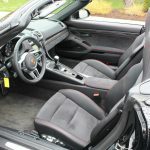 It wasn’t that long ago that it seemed you couldn’t find a Boxster Spyder for sale anywhere. 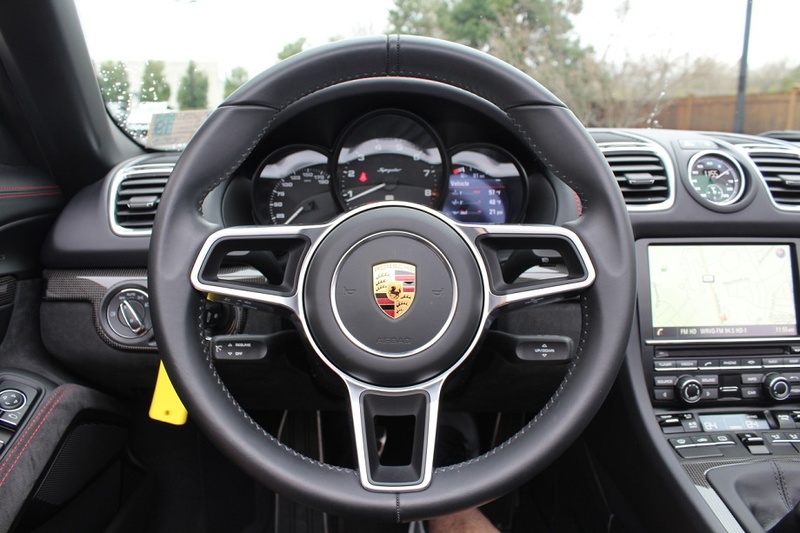 Granted it’s still a relatively new car, but I always expect to see Porsche’s special models come around quite quickly as sellers try to immediately capitalize on their rarity. That’s happening right now with the GT3. I’m not sure it happened with the Spyder. These days you certainly can find them, though there still aren’t a lot so you’ve got to do some searching. Of the couple currently available this one really caught my eye. I think all Spyders are very good-looking, but I really like the subtle contrast of the red and black on this one. 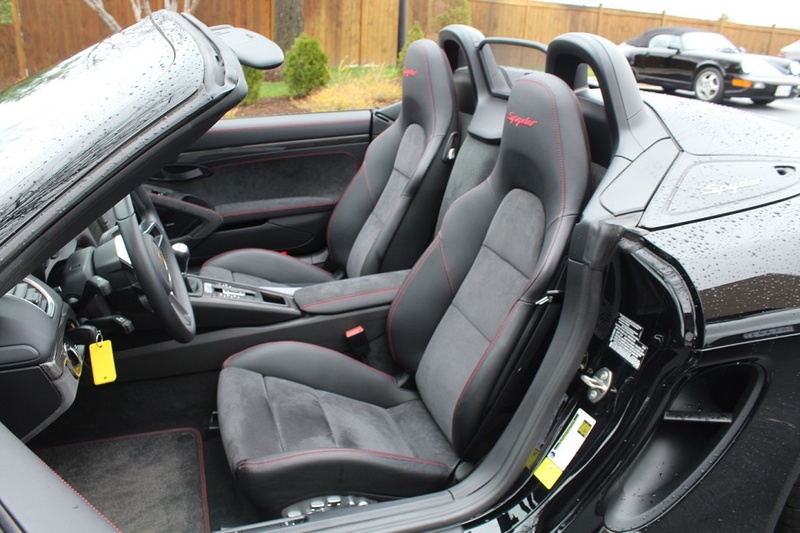 That little bit of deviated stitching on the seats and the carpets pulls the red of the brake calipers into the interior and makes for a nice looking combination. There isn’t much that’s flashy about it, but that’s ok. It all just looks very good. 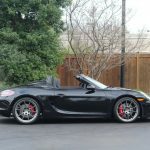 Would I take this Spyder over one of the very pretty, and very bright, PTS Spyders I featured a while back? I don’t know that I would, though given the very high prices those two were asking I definitely would have to think about it. 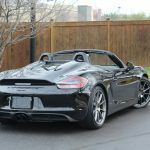 Tagged 2016, Boxster, Porsche, Spyder.